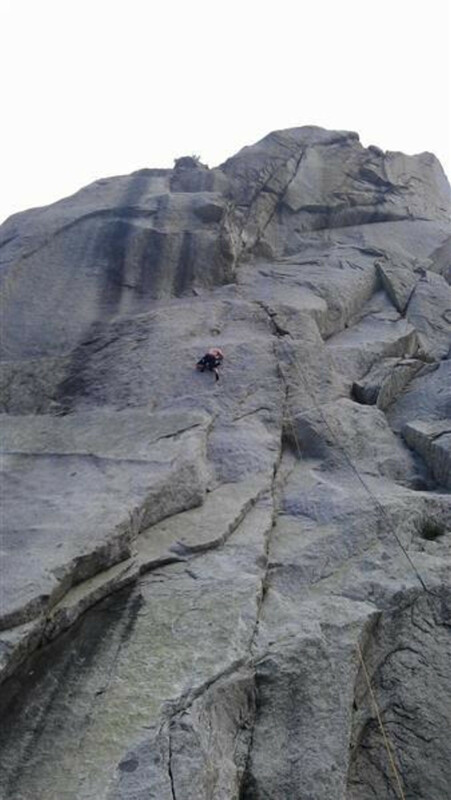 If you want some slabby and fantastic granite climbs, Kermit’s Wall in Little Cottonwood Canyon will give you just that. Kermit’s Wall is a large buttress that forms the left outside wall of the Green Adjective Gully. Kermit’s Wad (5.10a) on Kermit’s Wall is an absolute favorite. 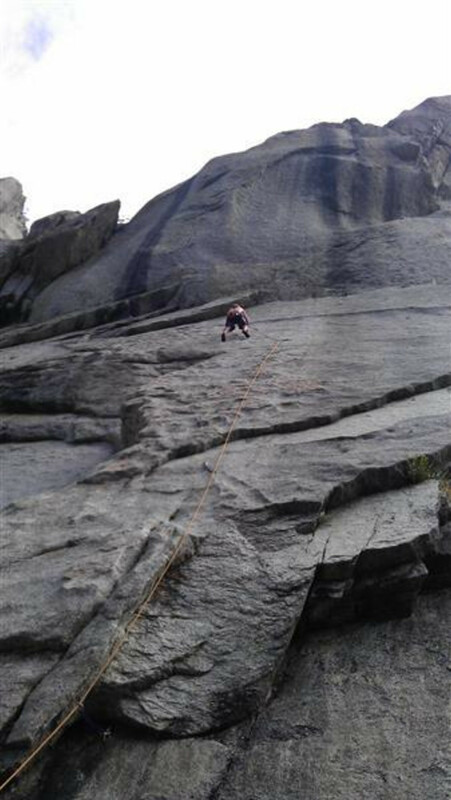 The granite helps a bit as far as grip on the slab, but the moves take some thought. Begin on the left side of the slab and right of a broken right-facing corner. Angle up right along a ramp until it steepens to a left-facing corner. You’ll want to place in some small gear and then make committing moves to the right onto a knobby slab. Next comes some edging and smearing to a horizontal dike, and finish with some hard moves on smooth rock up right to a final headwall. Kermit’s Wad has five bolts to a 3-bolt anchor on a ledge. 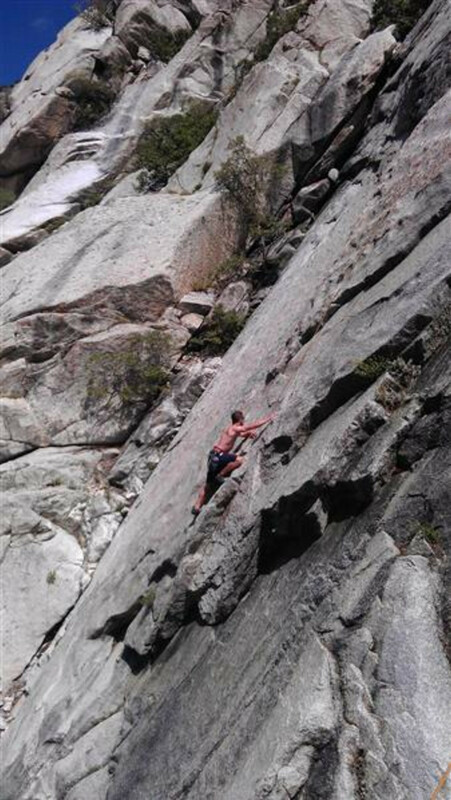 The easiest routes on Kermit’s Wall are Cranial Prophylactic and Cinderblock Variation (both 5.8s), but keep in mind this is a Little Cottonwood Canyon (LCC), and subjectively speaking, some of the routes feel harder than the recorded grades. Slabby climbs may seem more difficult to a beginner climber, so be patient with someone who’s climbing up on Kermit’s Wall, or LCC walls for that matter, for their first time. 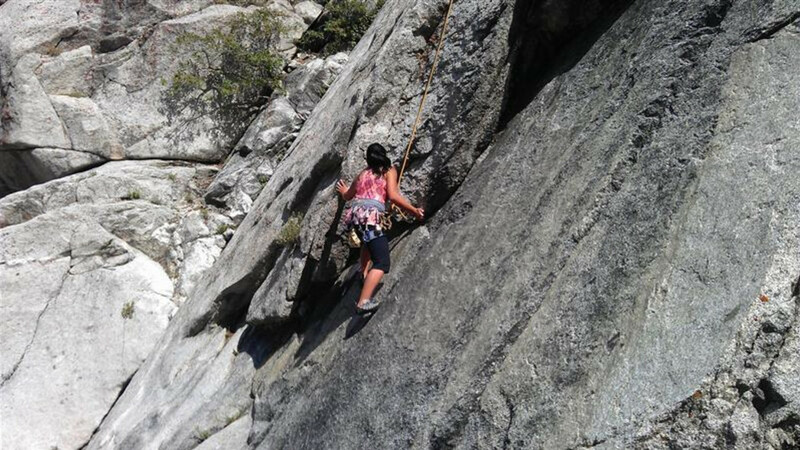 Some may have to adjust to slab and friction-type climbs. 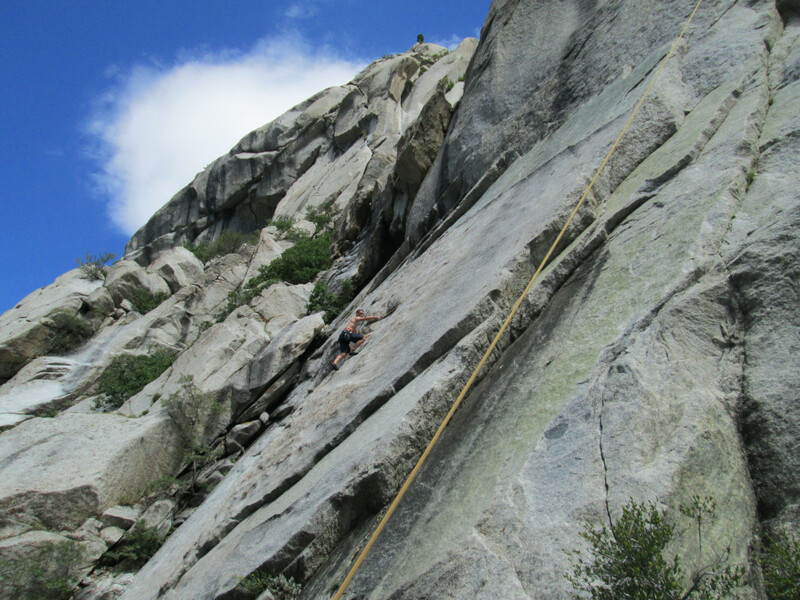 Kermit’s wall can be enjoyed by climbers of all skill levels, but it’s good to have a solid lead climber with every group—the climbs cannot be top roped. The climbs consist of both bolted and traditional, so the lead climber needs to have trad gear and, of course, be comfortable with trad climbing as well. Helmets are recommended. 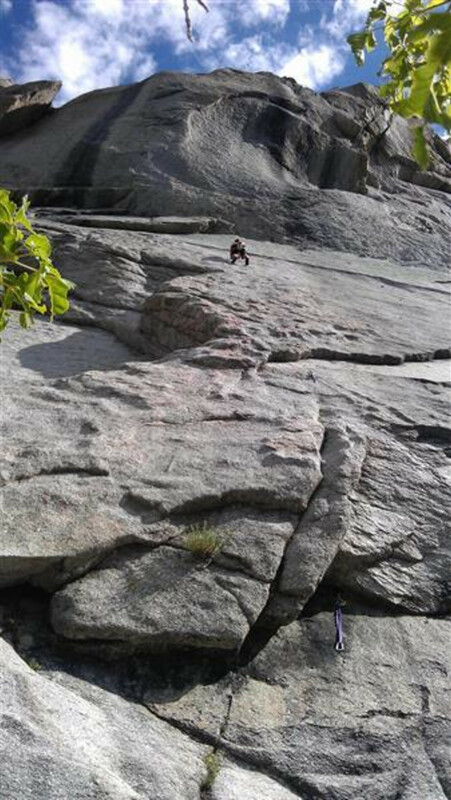 Be cautious if you take kids up with you as they can climb high on some of the boulders and a possible fall could lead to serious injury. Take the basics with you; climbing shoes, harness, ATC/belay device. Little Cottonwood Canyon is easy to find. From downtown Salt Lake City, take I-80 east to I-215 south. You’ll head south on I-215 for about five minutes until you reach exit 6 for Wasatch Blvd. Take Wasatch Blvd south. You’ll go straight through a few stop lights and eventually you’ll be driving up Little Cottonwood Canyon. It’s that easy. While it has no official hours, Little Cottonwood Canyon closes from time to time during the winter due to avalanche danger. To get to Kermit’s Wall, head up Little Cottonwood Canyon 1.25 miles and you’ll see an obvious pull-out on the north side of the road. It’s a gravel area, and this is where you’ll park. Hike up the westernmost trail from the Gate Buttress parking area, generally keeping left at trail junctions. The path eventually meanders into a huge boulder field below the Green Adjective Gully. You do a little boulder-hopping and scrambling upwards, keeping either left or right around the largest blocks to the base of the wall on the left side of the gully’s entrance.